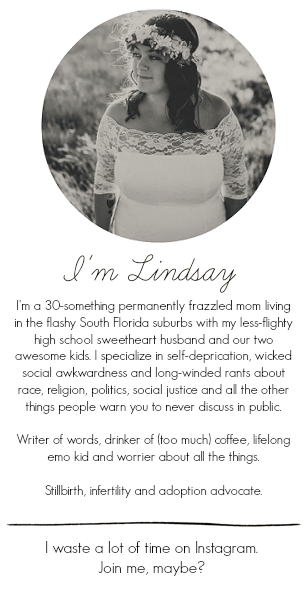 Here's my obligatory "sorry for my blog absence" opening line. We had gone out of town for Thanksgiving and I ran two fundraisers in a row that I'm still working on wrapping up. On November 22nd, the day before the six month anniversary of Wylie's birth and death, I did a 24 hour Blogathon -- Blogging To Remember -- to raise funds for The Compassionate Friends. It was a bigger success than I ever dreamed and I was able to raise over $2,000! (Thank you to Randalin for making it happen!) This past weekend, I was stuck to Instagram running the @turtlepowerauction for my amazing friend Jenna's beautiful little boy, James. So, it's been busy and my table is filled with raffle prizes needing to go out and my inbox is filled with e-mails needing to be replied to and we just got back into town this afternoon after a few days away. Still, as Ethan is reminding us every five minutes, it's almost Christmas so the show must go on. 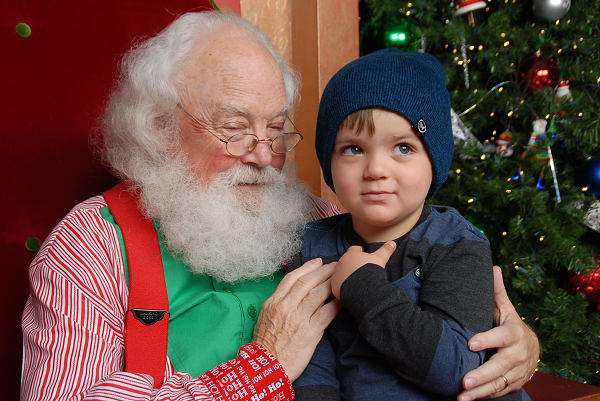 There is a mall 3 1/2 hours from home -- 40 minutes from the lake house we spend Thanksgiving at -- that has the best Santa ever. No, really. 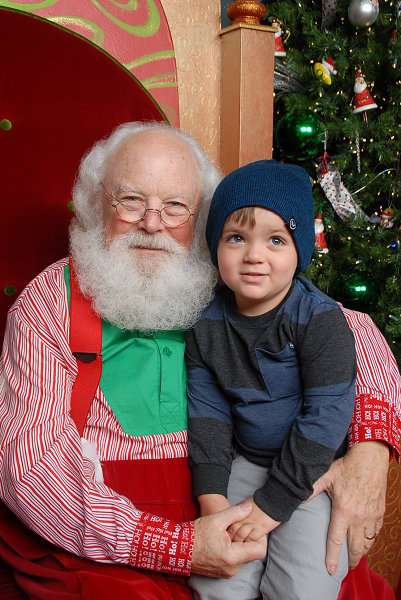 He pretty much is Santa. Which is precisely why there are three hour waits (we definitely stood in that line last year) and why, before heading back home to South Florida, we decided to get to the mall before it opened and get a spot in the Santa line. 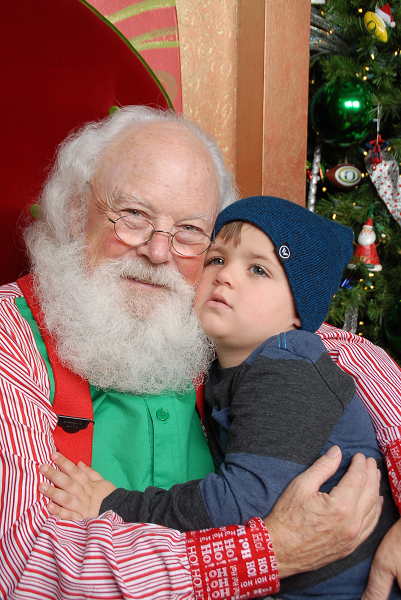 Ethan was really into Santa this year and looking forward to meeting him. 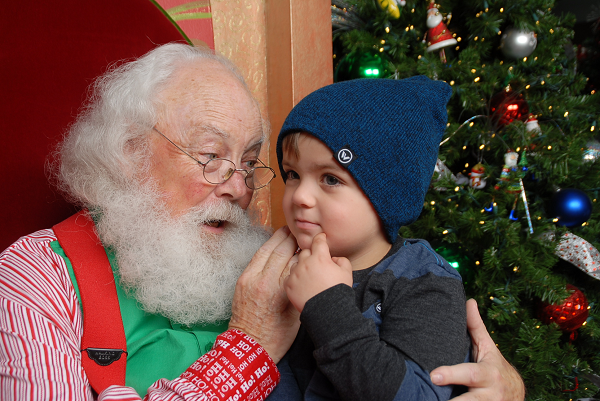 He was a little shy but mostly really excited. 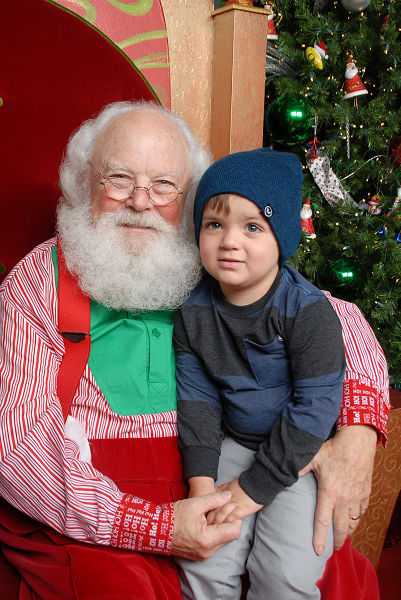 He asked Santa for some blocks and a stuffed Piglet this year. 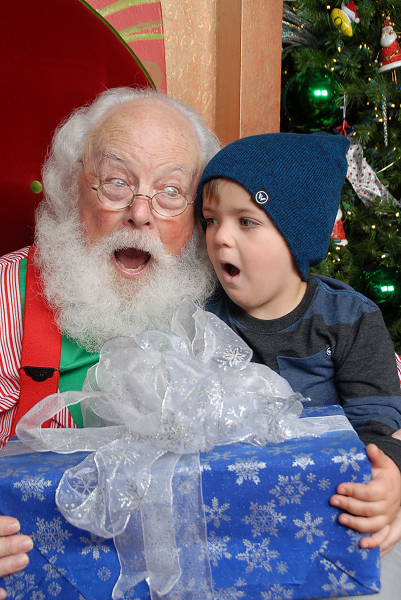 If only his holiday wishlists always stay this practical and sweet! 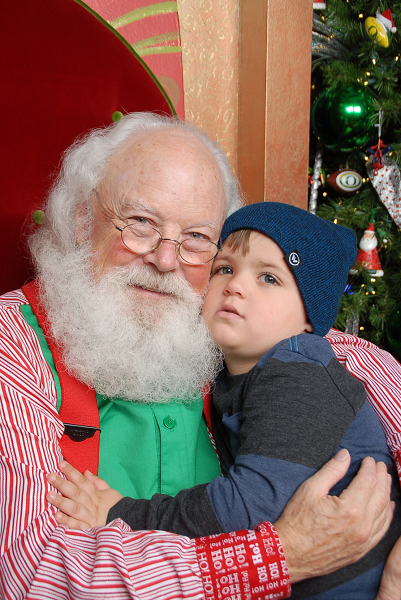 Anyway, here are Ethan's Santa photos from this year! Totally worth extending our vacation, driving totally out of the way and camping out in a line inside a closed mall, I don't care what you say. OH YES! 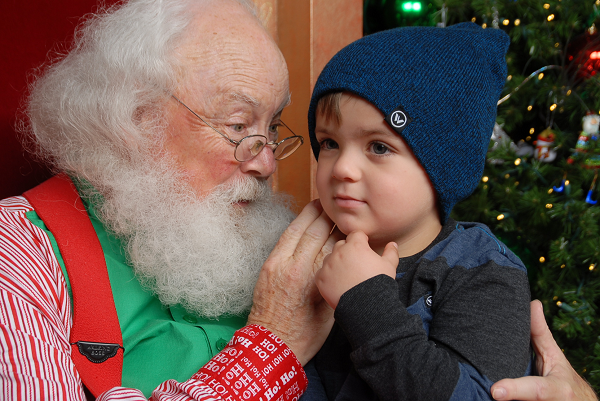 You're right, this Santa is legit! He is the real deal and the photos are perfect! I would hate to stand in such a long time so you did a good job by getting them earlier in the season. Haha these are so cute! 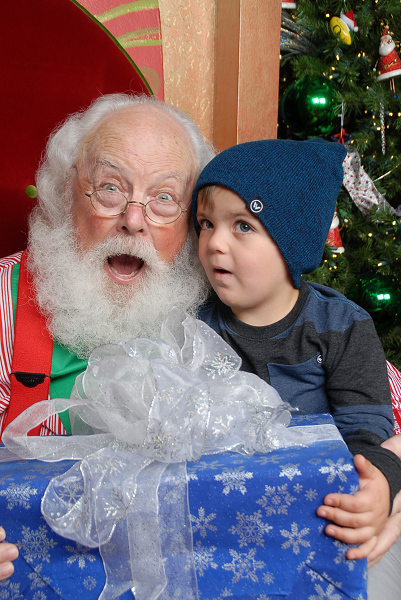 I think they might be the best Santa photos I've ever seen!